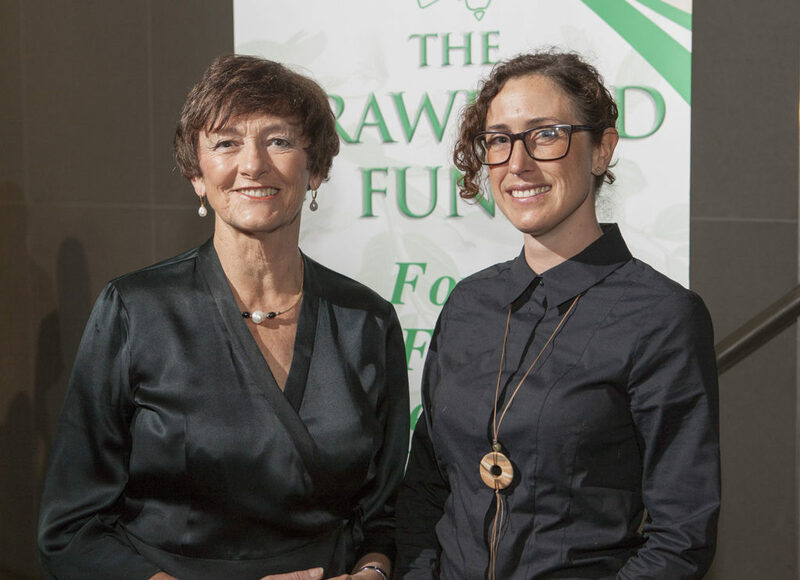 The NT Committee is proud to have supported a PhD candidate from Charles Darwin University to attend the Crawford Fund’s 2016 Annual Conference. Gianna Bonis-Profumo (pictured below) is passionate about food security and nutrition, and the conference was a wonderful opportunity to extend her networks, meet other students and gain exposure to the international speakers. Read her post-conference report below. Attending the Crawford Fund food security annual conference has been an experience far more interesting and fruitful than what I expected, so I highly recommend it to any young scholar who is broadly interested in food security and agricultural matters. Even though this year’s topic, food waste, was not particularly relevant to my research interest, the food security umbrella under which the conference sessions were framed made most content applicable to my work and thinking. I particularly enjoyed Dr Fresco’s address; she clearly made an impression on me through her expert way of conveying complex information and connecting diverse themes with an orator’s ease that made me realise how eloquent and versed I could perhaps strive to be one day. Even if I did not necessarily agree with all the points she made, particularly on digital foods, she inspired me with her science-based arguments and superb delivery. If ever I can deliver such an intricate talk, half as confidently and relaxed as she did, I’d be a happy academic! The conference format worked very well and was structured in a very conducive manner given the topic. Providing a general overview of a particular topic, followed by case studies that illuminated and exemplified the overall concepts was an effective and engaging approach. Also, the length of the presentations and visual format made the sessions dynamic. I learnt many good tips on how to structure and visually organise Power Point presentations. It’s all about good images and visuals, a Spartan and minimalist use of words while highlighting the key ideas in each slide. I guess this must be common knowledge these days, but I thought it was well done and, in general, most presenters made really good use of their 10 minutes. Another important skill that was emphasised through the presentations is that less is more, and that being able to convey a study or any project in 10 minutes is an art that we, researchers, should really work towards. Attending the conference has reminded me that I need to further develop my skills on synthesising content and learn to extract and communicate the key essentials. Finally, I must comment on the networking focus of the Young Scholars programme and the Conference itself. As many say among networking circles “it’s not what you know, it’s who you know”. Such words of wisdom are encapsulated in this mantra. However, these three jam-packed days of learning, listening and connecting have fulfilled the “who you know” as much as they have nourished the “who knows you”. Yes, this is my key highlight of the whole experience, as it has been a platform from which to get to know many senior academics, project managers, government and industry representatives, who now know me too. And I bet that if ever anything related to gender and agriculture comes their way, they will remember my face (or maybe my name?). So, I am convinced that attending this conference will have many spill over effects later on in time. Plus, now I can access a terrific network of leading men but more so women, who can not only provide advice on academic matters, but also on family planning combined with successful professional careers. Attending the conference was certainly a score!